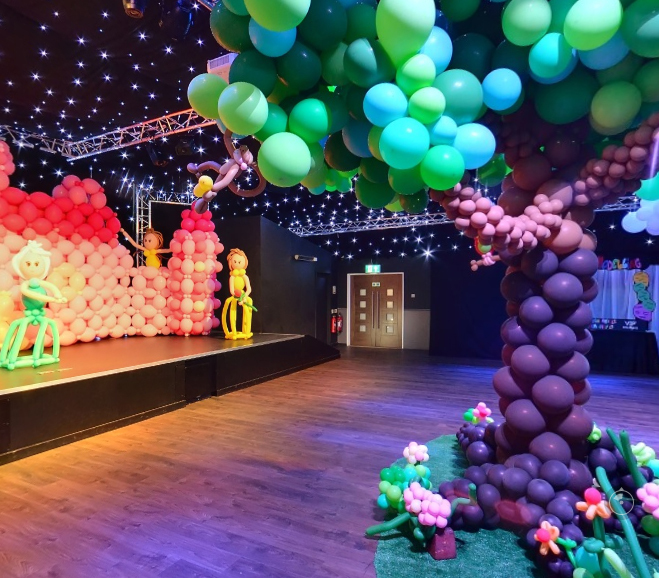 At Steff’s Magic Bubbles, we LOVE working with other entertainers, especially if it is something as magical as an enchanted forest made entirely out of balloons! 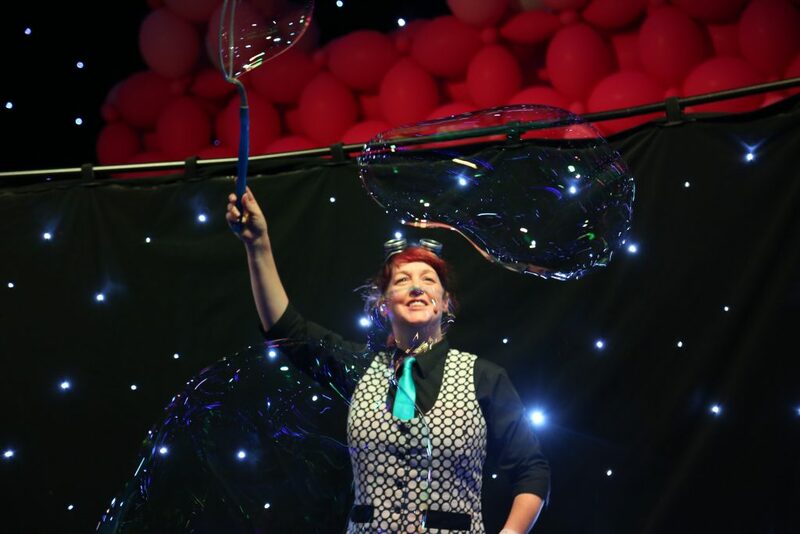 When Samuel from VIP Balloons told us he was building a giant balloon forest in Greshams in Ipswich, complete with Fairy Castle, we jumped at the chance to put on a bubble show there! 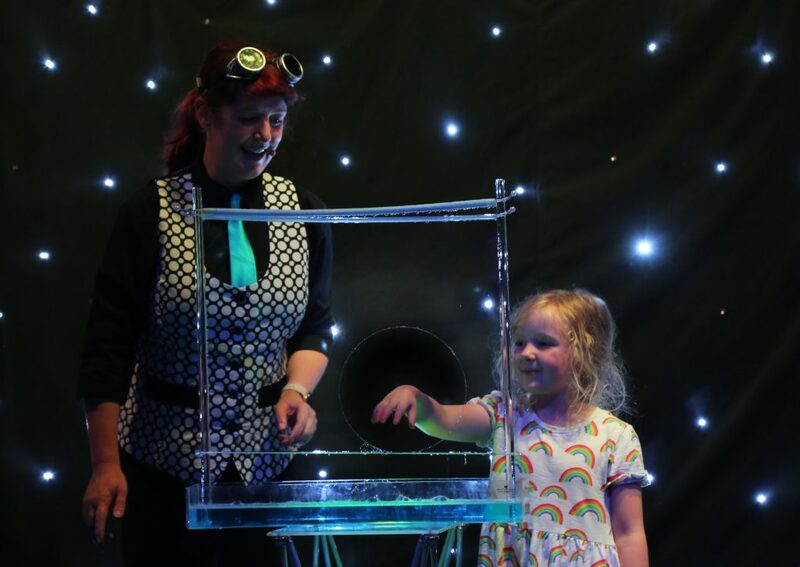 We had a lovely audience there and did our full bubble show, complete with star cloth, lights, music etc. 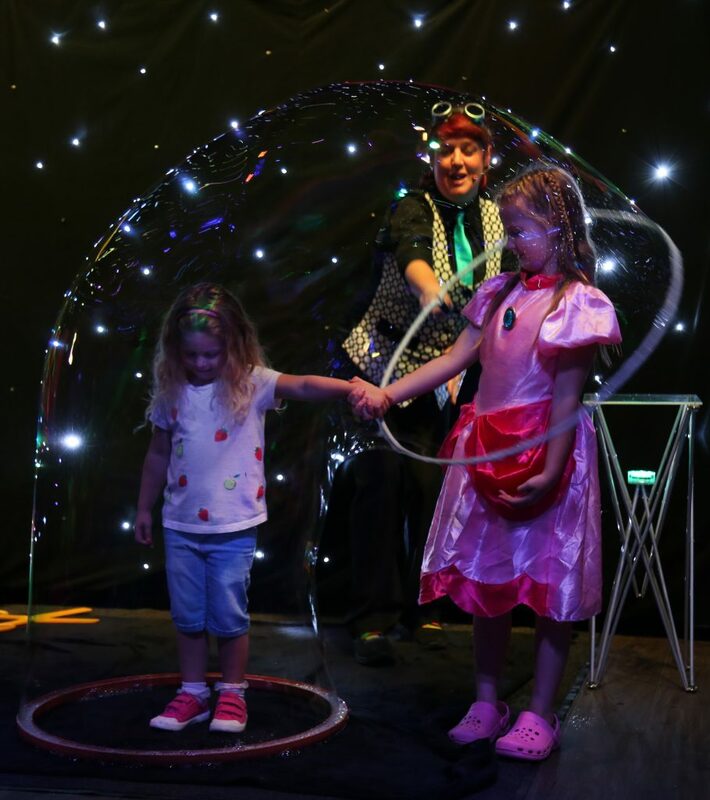 It felt really magical being surrounded by balloon trees and princesses and the lighting at Greshams really showed off the bubbles well. At the end of the show, we gave everyone a chance to go inside a giant bubble. Everyone who visited the forest loved it so much that people are already asking Samuel when he will be doing his next big balloon build! !